Sunday October 22nd 2pm to 5pm. 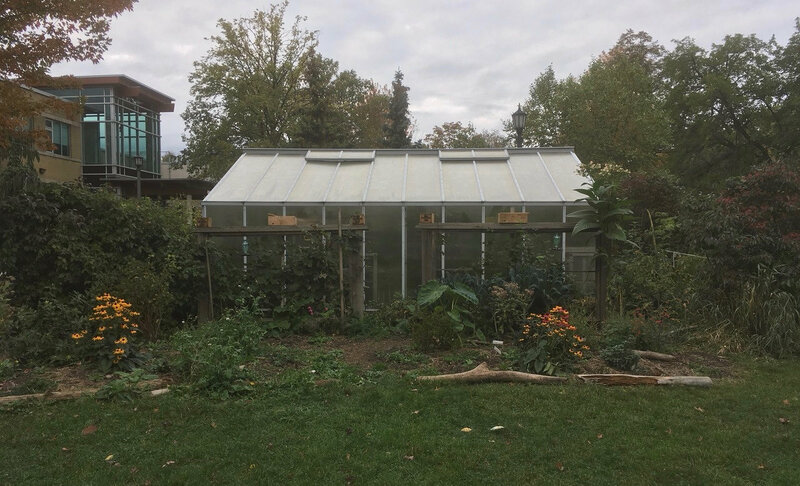 Clean up of the green house and native perennial plant maintenance! Come out and join the FoTB greenhouse team to do some seasonal cleaning, trimming and assorted horticultural activities and some hot tea and donuts. Queen West Art Crawl 2017 this weekend! This annual massive beloved art crawl returns this weekend! And the weather is looking awesome for it, finally. They also have lots going on besides the art sales. Please visit their website for full on deets. www.queenwestartcrawl.com and here's Event Guide and event map. Parkland Strategy survey! They want park users input. Do you frequent our park, or any city park? Parks, Forestry and Recreation want to hear from you! This survey City of Toronto Parkland Strategy survey, is the first of two. This first one seeks your input on the amount of parkland currently available and how you use City parks. This is anonymous survey and your reponses will be kept completely confidential. It takes a mere 10 minutes to complete - shorter than a line up for your coffee ;-) It will be open for your valuable responses from August 23rd to October 2nd, 2017. Please take the time, it's important if you like our city parks. This is your opportunity to help shape things.